I've been hearing a lot about microlearning, what is the difference between this and regular training? Touted as the fastest-growing, modern learning platform for professionals, microlearning is changing the way we study and absorb information. Research suggests that the average employee can only allocate as little as one percent of their working week to personal development. That works out to less than five minutes per day, so an alternative to incorporate training sessions is needed. Enter the world of microlearning. Scientific studies have shown that the average adult attention span is on a par with a goldfish. It takes between 5 and 10 seconds for us to decide whether to stay focused or move on. The current generation has been brought up with a lot of technology, which could explain why attention spans are dropping. Learning in small measures is not a new theory, it has been around for years, and is now being implemented in the workplace to supplement traditional training methods. 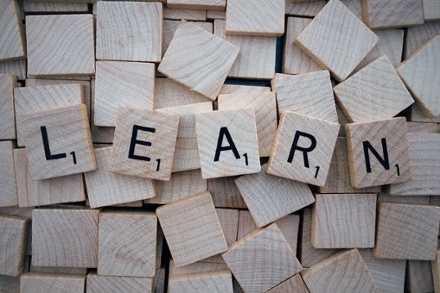 Microlearning keeps things very simple and quick to digest with usually very short, narrow topic activities such as a training video or short learning exercise accessed by smartphone or tablet. For employees in the field, microlearning has become a virtual video guide to company procedures. For example, workers on-call for electric generator repair are able to access the most up-to-date information for any problem they face. Their employer benefits because microlearning results in workers spending less time in the classroom and more time in the field. The primary purpose is to increase what is learned and absorbed without inducing fatigue, boredom and information overload. Without having to relearn the same stuff, it is especially effective for adult and senior learners. Training needs to be constantly updated to maintain its relevance in today’s high-tech world. On Wall Street, firms like Royal Capital Pro use microlearning to serve bite-sized portions of information to staff about constant changes in the industry. Securities professionals are focused on the trading marketplace, so microlearning minimizes the amount of time away from their jobs. Refresher courses and quick revisions of essential material can be delivered through the microlearning platform which uses fast, targeted learning without the need for reading pages of data. Relevant small segments of a course can be easily accessed and refreshed to memory without having to read an entire chapter or section. There is more flexibility with microlearning as employees can manage their time around it better and choose when to study and brush up on materials they need to know. Completing a couple of microlearning courses gives you a greater sense of achievement quicker than spending months working on a longer assignment. Employee morale is boosted as the company can invest more in each individual through smaller training sessions, and the company benefits from cost savings by not sending staff away for long courses. Educators can author and edit content quicker with micro-lessons keeping them completely up-to-date with current industry trends and the content fresh and relevant. Optimal attention levels are maintained for shorter periods of time, along with more enthusiasm for something convenient and interesting that does not eat into too much of your day. Bigger things now come in smaller packages. Tell me and I forget. Teach me and I remember. Involve me and I learn - Benjamin Franklin.